Windows 10 on Chromebooks? At first, it sounds downright stupid. You can already do just about everything on a Chromebook with Chrome OS, including running a ton of Windows apps. Why bother? I have some ideas, but first, the background. The eagle-eyed developers at XDA Developers have spotted a new Google Pixelbook firmware branch. This new code, “eve-campfire,” includes a new “Alt OS mode.” That “Alt OS”? WIndows 10. From the clues XDA has picked up, this looks as if it will be a real offering and not just an internal project that will never see the light of day. XDA thinks it will be a built-in dual-boot option such as Apple’s Boot Camp. Windows on a Chromebook wouldn’t be for everyone. You’ll need a well-equipped Chromebook with at least 40GB of internal storage. You can also forget about running Win10 on an ARM-based Chromebook. But why would Google bring Windows to Chromebooks? Some people have suggested to me that it’s because Chrome OS can’t compete with Windows. Oh, please! People run Windows for three reasons these days: 1) It’s all they’ve ever known; 2) their favorite game runs on it; or 3) they have one mission-critical app that only runs on Windows. Chromebooks? As my buddy Mike Elgan pointed out, “Not only do Chromebooks run apps, but they run more apps without dual- or multi-booting than any other computing platform.” That’s because you can run Android, Linux and many Windows applications on a Chromebook simultaneously. Personally, I gave up ThinkPads, which had been my laptop of choice for decades, for high-end Chromebooks five years ago. They work great, and if one were to go haywire while I’m traveling, all I need do is get another one, enter my Google password, and I’m back in business in a minute, with all of my documents and applications. Just try that with any other kind of laptop! 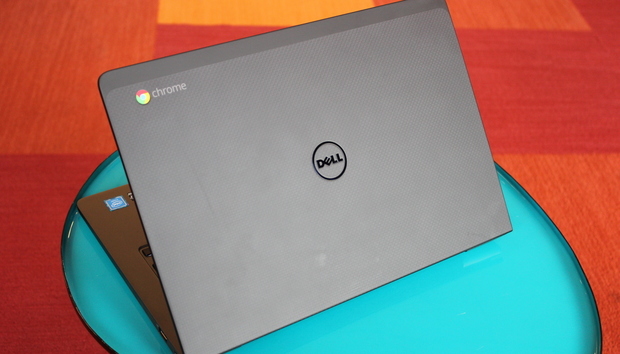 So, why offer Windows on the Chromebook? XDA thinks it’s to avoid the potential of future European Union antitrust fines. To which I say: Nah! I think it’s two things. One, Google wants to snag all those users who are still stuck on Windows because of a favorite game or required application. Two (and if I’m right, this is so sneaky of Google), Windows 10 will run like a dog on Chromebooks. Even slow Chromebooks are fast compared to Windows and macOS laptops. And did you see Google’s latest Chromebook ad? It’s all about how Chromebooks are faster and much more reliable than its competitors’ machines. So, would Google rub Microsoft’s face in just how much better Chromebooks are than Windows laptops by letting users see for themselves? Sure it would.